The Red Sox fell to 6-8 in Grapefruit League play on Friday afternoon following a 4-2 loss at the hands of the Baltimore Orioles marking their third consecutive defeat. Top pitching prospect Darwinzon Hernandez got the start for Boston in this one and was impressive yet again. Working the first three innings, the left-hander held Baltimore scoreless while yielding just one hit, one walk, and two HBPs to go along with four strikeouts. He faced 11 Orioles hitters. Through three outings (two starts) this spring, Hernandez has yet to allow a run to score while striking out 10 in seven total innings of work. In relief of Hernandez, Bobby Poyner, Travis Lakins, Mike Shawaryn, and Jenryy Mejia combined to surrender four runs on seven hits, two walks, one HBP, and three strikeouts. Poyner, who served up a fourth inning solo home run up to Renato Nunez, was charged with the loss. Mejia, meanwhile, bounced back from a rough outing Tuesday with a pair of punch outs in a 1-2-3 ninth on Friday. On the other side of things, the Red Sox lineup was matched up against veteran right-hander Andrew Cashner for the Orioles and were limited to two runs or less for the third straight day. Tzu-Wei Lin accounted for Boston’s lone RBI in this one with an RBI ground-rule double in the second inning of Cashner to score Sandy Leon from second. Fast forward all the way to the top half of the ninth, and Austin Rei plated the Red Sox’ second and final run of the afternoon after Sam Travis reached first on a Baltimore fielding error. In 24 at bats so far this spring, Tzu-Wei Lin is slashing .375/.423/.667 with one home run and six RBI. I know it’s just spring training, but the Red Sox have scored four runs in their last three games. Not ideal. Next up for the Red Sox, they’ll host the New York Mets Saturday at JetBlue Park. Right-hander Zack Wheeler, who posted a 3.31 ERA in 2018, will make the start for New York, while left-hander Eduardo Rodriguez will do the same for Boston. Following Rodriguez’s latest start this past Monday, which also happened to come against the Mets, Red Sox manager Alex Cora said, “He needs to get better. His stuff is really good. . . we have to be more efficient.” So, we’ll see how that goes. First pitch Saturday is scheduled for 1:05 ET down at JetBlue. NESN has it covered. The Red Sox improved to 6-5 in Grapefruit League play on Tuesday following an 8-4 win over the Washington Nationals in West Palm Beach for their third consecutive victory. Hector Velazquez got the start in this one five days after his last outing, which also came against the Nationals. This time out, the right-hander had a bit of an easier time of things, limiting Washington to one run on four hits, no walks, and one HBP while striking out three over two-and-two-thirds innings of work. After allowing two of the first four hitters he faced in the third to reach base and plate the Nationals’ first run of the afternoon, Velazquez’s day came to an end and in came right-hander Trevor Kelley. Kelley retired the only hitter he faced, Victor Robles, to end Washington’s rally in the third, which ended up being good enough to notch his first winning decision of the spring. From there, Bobby Poyner, Travis Lakins, Jenrry Mejia, Domingo Tapia, and Josh Taylor combined to surrender three runs on six hits and two walks to go along with four strikeouts. Mejia, who last pitched five days ago like Velazquez, allowed the first three hitters he faced to reach base in the seventh, which resulted in the Nationals scoring their second and third runs of the day on an Austin Vloth two RBI single. The ex-Met finished the inning without surrendering another run with the help of a double play, but it was far from the three-strikeout performance he put together in his Red Sox debut. Taylor, who was responsible for the ninth and final inning, wrapped things up on Tuesday by allowing another Nats run to score on an additional two hits before securing the victory for Boston by getting Chuck Taylor to line out to Cole Sturgeon. On the other side of things, the Red Sox lineup was once again matched up against ace right-hander Max Scherzer for the Nationals. After shutting the Boston bats out over three frames of work last Thursday, the three-time Cy Young Award winner did not have that dominating of an outing today. Instead, Scherzer finally cracked in the fourth inning this time around, as leadoff man Tzu-Wei Lin got the scoring started for the Red Sox by launching a solo home run, his first of the spring. That homer would turn out to be the catalyst of a seven-run inning from Boston, as Bobby Dalbec, Chad De La Guerra, and Tate Matheny went back-to-back-to-back with RBI base knocks, all while chasing Scherzer from this contest. And the cherry on top of this offensive onslaught came from Lin as well, who drove in De La Guerra and Matheny on a two RBI single off of journeyman hurler Vidal Nuno. Fast forward all the way to the top half of the seventh, and a Blake Swihart leadoff single would later result in Boston’s final run of the afternoon coming around to score on an RBI double off the bat of Oscar Hernandez to essentially put this contest away at 8-3. As the final score indicates, the Nationals would score another run in their half of the ninth. So, in case you are confused, the final score of this one was 8-4. Through 16 at bats this spring, Tzu-Wei Lin is slashing .438/.500/.813 with one home run and five RBI. In his first game back since leaving Red Sox camp for a few days to remember his brother, Blake Swihart went 2/4 with a pair of singles and two runs scored batting second and playing first. Next up for the Red Sox, they head back to JetBlue Park to take on the Pittsburgh Pirates in a nationally televised game on ESPN. RHP Nick Kingham will make the start for Pittsburgh, while fellow right-hander will do the same for Boston. First pitch Wednesday is scheduled for 1:05 PM ET. Again, ESPN is the way to go. #RedSox Agree to Minor League Deal with Once Banned from Baseball RHP Jenrry Mejia. The Boston Red Sox have reached an agreement on a minor league contract with former New York Mets reliever Jenrry Mejia. Fancred’s Jon Heyman was first with the report. Mejia, 29, has not appeared in a big league game since 2015 and has quite the chequered past. Once an important member of the Mets pitching staff, the Dominican Republic native has since fallen off the map following three violation of Major League Baseball’s performance-enhancing drug policy, which subsequently led to a since-lifted lifetime ban from baseball in 2016. Before that, Mejia posted a 3.68 ERA over 113 appearances (18 starts) and 183.1 innings pitched with New York from 2010 to 2015. He also recorded 28 saves as the team’s closer in 2014. Reinstated by commissioner Rob Manfred this past August with eligibility to play in 2019, Mejia was ultimately released by the Mets on November 20th after appearing in two minor league rehab games in the Dominican Summer League. With his new deal with the Red Sox, the right-hander did not receive an invite to major league spring training, but he will earn $625,000 if he cracks Boston’s 25-man roster at any point this season. The addition of Mejia certainly comes with a fair amount of risk. I mean, we are talking about the only player to be banned for life because of multiple PED offenses. But at the same time, it’s a minor league contract. The Red Sox do not have a lot invested in this particular pitcher. If either side feels as if things are not working out, there won’t be too many complications in working out a feasible solution. 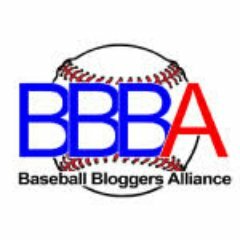 Regardless of what happens there, it should be interesting to watch, read, and listen to what sort of reputation Mejia builds once spring training starts in Fort Myers in just a few weeks. 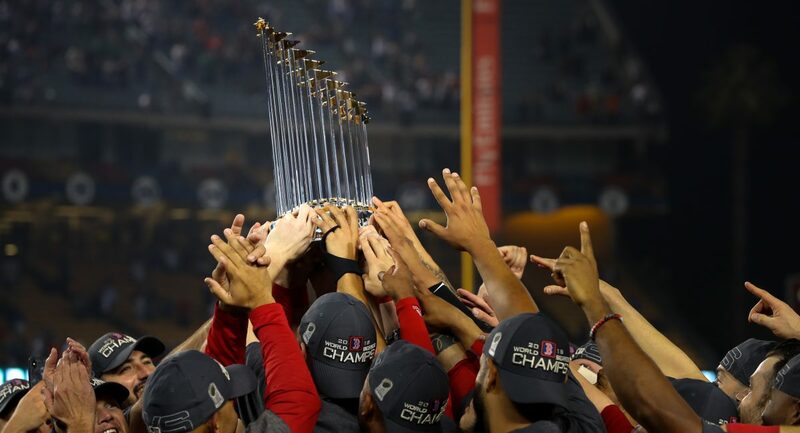 Author Brendan CampbellPosted on January 29, 2019 January 29, 2019 Categories Baseball, Sports, UncategorizedTags Baseball, boston, dave dombrowski, jenrry mejia, mets, mlb, new york, red soxLeave a comment on #RedSox Agree to Minor League Deal with Once Banned from Baseball RHP Jenrry Mejia.